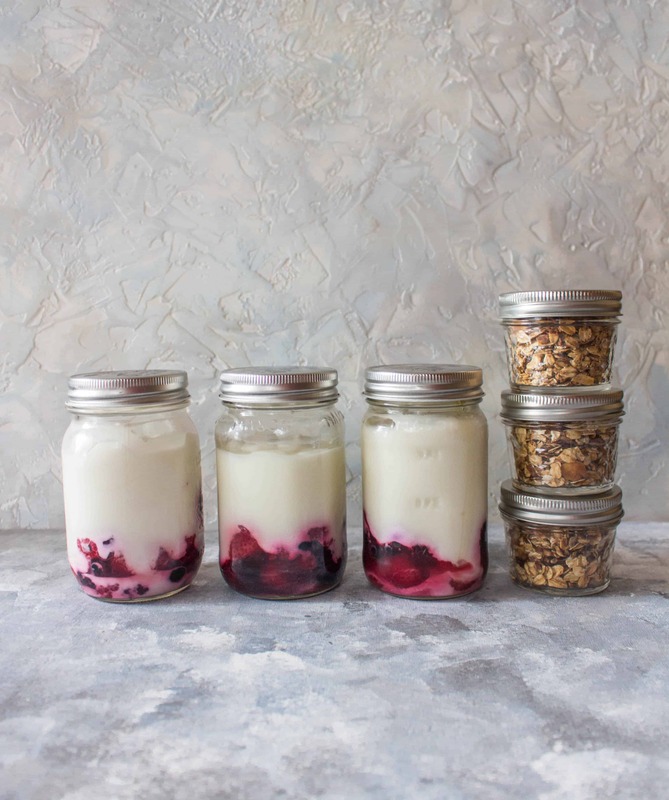 Grab some mason jars and prep your breakfasts so you can have a delicious and healthy start to your day during the week! 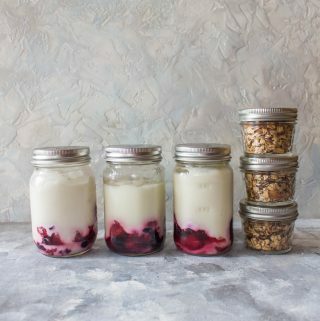 These Yogurt with Fruit and Homemade Granola Breakfast Meal Prep will have you looking forward to your mornings! 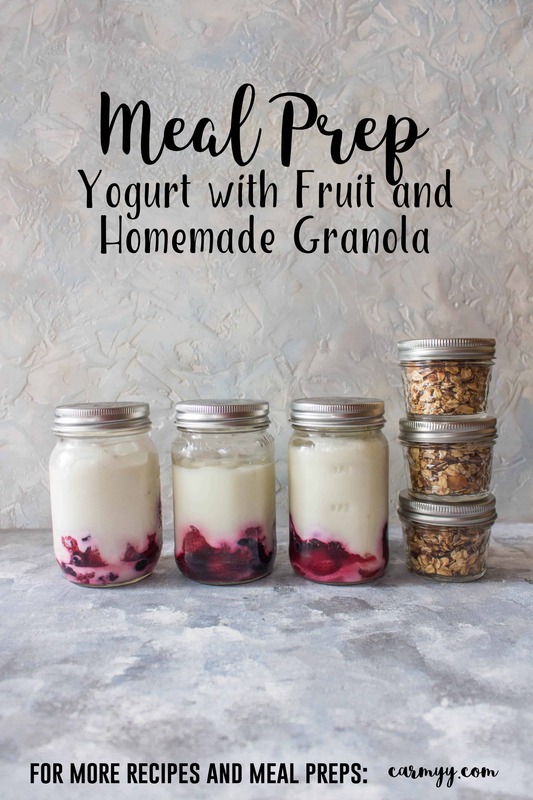 click here to pin this yogurt with fruit and homemade granola breakfast meal prep for later! I’ll admit that on more than one occasion I’ve woken up unprepared, ran out the door to work, then swing by Starbucks and spending almost $4 for a yogurt parfait. Raise your hand if that sounds familiar ? ?I KNOW. I KNOW. 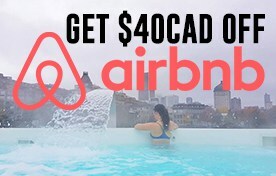 It really shouldn’t be that big of a deal but those $4 here and there in the mornings adds up (plus the drink I end up getting because I’m already there!!!). It might not seem like a lot but the $4s add up and well, I think I much rather spend that money on gelato haha. Gelato is easier to buy than make, parfaits on the other hand… it’s SO simple. 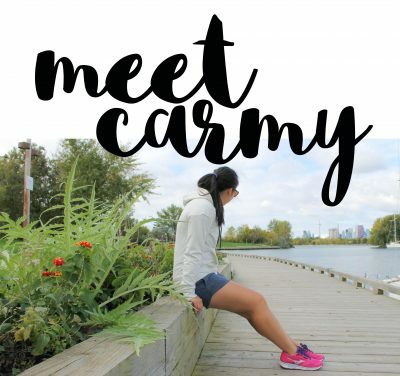 Yogurt – you can make your own with an Instant Pot! For my granola, I tend to just toss in whatever nuts and bits and pieces I have in my pantry. This time around, I just so happen to have pumpkin seeds, sunflower seeds, and some sliced almonds! So in the granola they go. I love making homemade granola for parfaits because it means I get to control what goes in the granola. 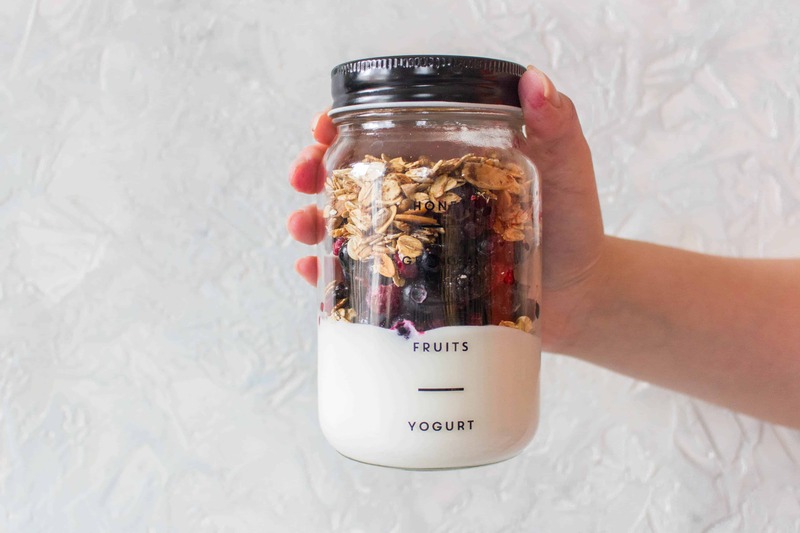 I recommend sticking with plain whole milk yogurt – again the amount you want in the jars are up to you. As you can see, the photo above, I put less yogurt in but the photos above that one, it’s more filled. It depends on how much yogurt you plan on consuming. Your perfect granola:berry:yogurt ratio may be different than mine! Bake at 300F for 30 minutes, keeping an eye on it and giving it a stir or two throughout the process. 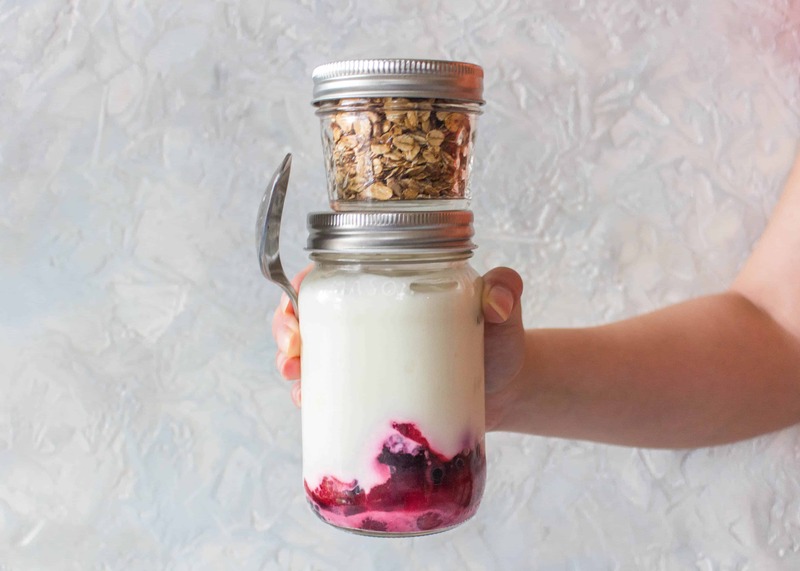 Layer in a mason jar the fruit and then the yogurt. 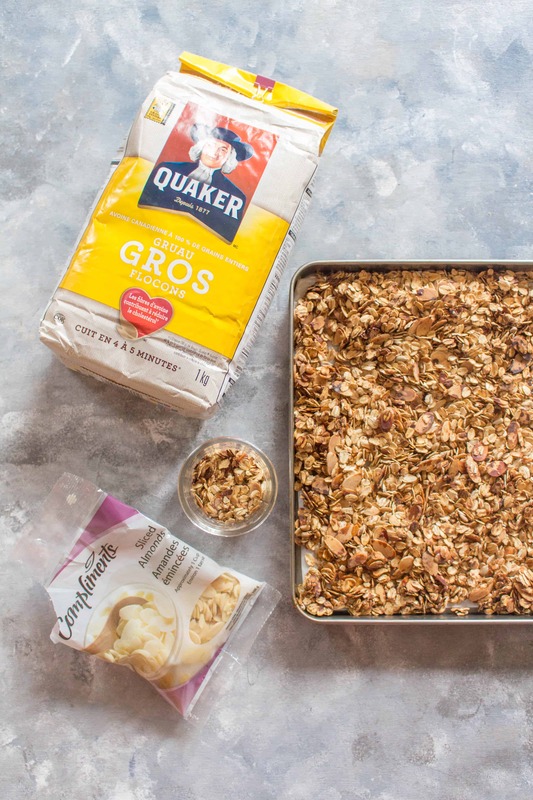 Optional to add the granola in at this step or keep it separate in a different mason jar to prevent it from getting soggy.